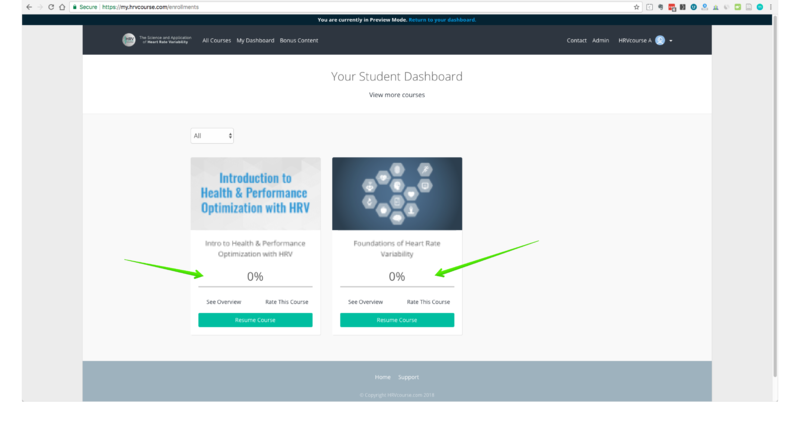 If you are enrolled in a course about Heart Rate Variability (HRV) through HRVcourse.com, you have the ability to see what % of the course you have completed. Completing 100% of the course, gives you access to an official and accredited certificate of completion. Progress only counts the modules in which you used the "NEXT" button to move forward. Sign in to the course portal. 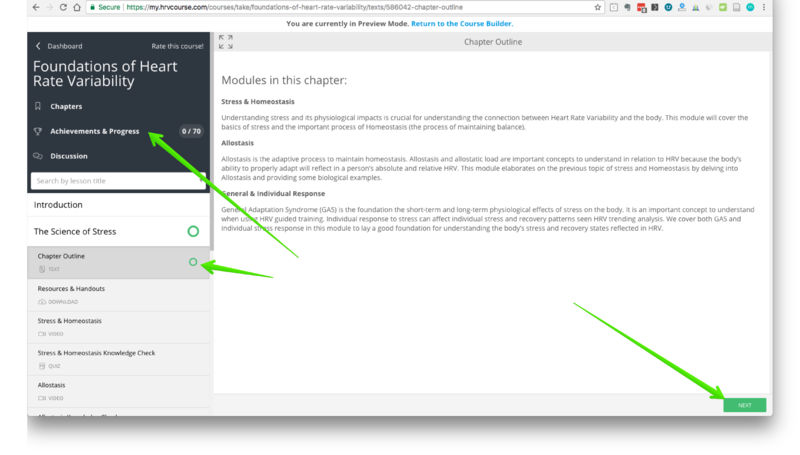 When you are logged into the course, see which modules are missing the green checkmark next to them. Click "Next" in the bottom right corner. The module should now be marked as "complete" and count towards your total progress. Repeat this for all modules in the course, including optional modules. Screenshots below. Hope this helps!